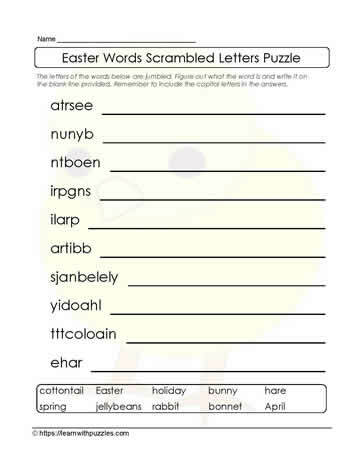 This Easter scrambled letters puzzle supports students' vocabulary building for Easter words. Puzzle activates problem solving strategies as they brainstorm possible answers for rearranging the letters. Grades 3,4,5 classrooms, homeschools, tutoring resources and with DI in the classrooms, students in earlier grades can benefit. Use DI to support ELLs in the classroom.